We think Toronto is an amazing city for families, but don’t just take our word for it! We’re asking local moms all over the city to tell us why they love their neighbourhoods and to share their favourite spots for kids. Read more Toronto Family Neighbourhood Guides from Help! We’ve Got Kids. Renee Tratch is a Prairie-raised writer living in Toronto’s east end. She has spent more than half her Toronto life with a family in tow. While you’ll often find her crisscrossing the city searching for the best places to visit with her six- and nine-year-old boys—and writing about their adventures on her blog Kids in T.O.—she is happiest staying local in her home hood of Leslieville. Here are some of her favourite places to hang with her family. When I moved to Leslieville, I was nine months pregnant. That was nine years ago. Right from day one, I felt a strong community vibe among the original Leslievillers and the growing number of new families laying down roots in this east-end Toronto ‘hood. With so many parks, playgrounds, cafés, and stores all in walking distance from each other, it makes raising a family (and pushing a stroller) so easy all year round. 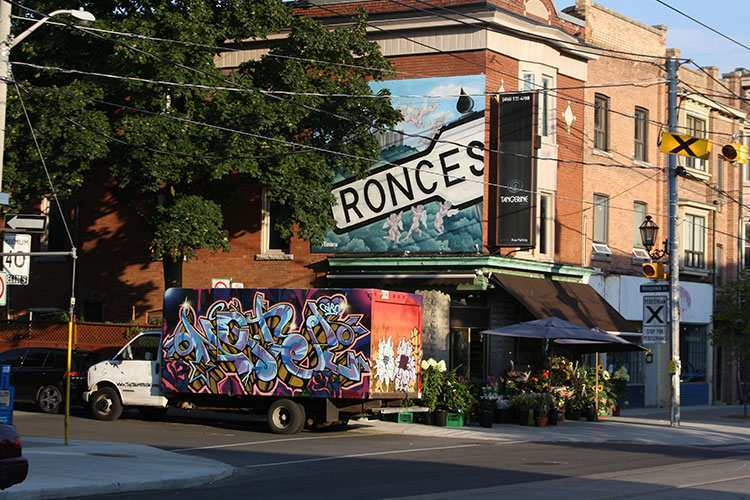 Bordered by vibrant neighborhoods like Riverside, Riverdale, and Little India and en route to the awesomeness of The Beach, Leslieville has established itself as a family-friendly destination for locals and Torontonians in general. It has easy access to come and go on the Queen streetcar, and by car, it is one of the only strips where parking is free after 6 pm and on Sundays. 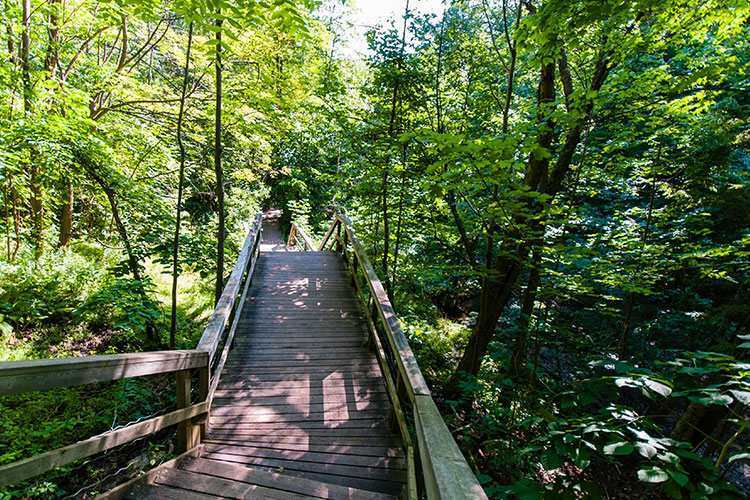 Location aside, here are nine reasons why my family loves to call Leslieville home. 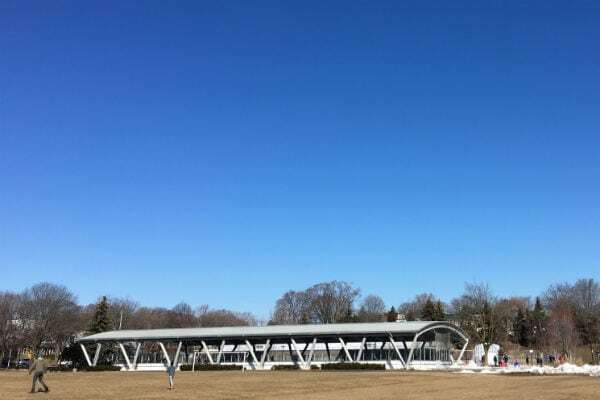 Greenwood Park is an all-season community hub best known for the city’s only covered outdoor rink and for its skate path, which is also awesome for scooting and learning how to bike in the summer. With an outdoor pool, splash pad, fire pit, baseball diamonds, and a playground, this green space is always hopping with families. Sprouts is a go-to spot for parents with littles in the hood. The indoor play space is excellent for preschoolers and toddlers (try to go on weekdays for a quieter experience), and it also offers kids’ programs, from dance and acro for the under-7s to a maker space for 8- to 12-year-olds. 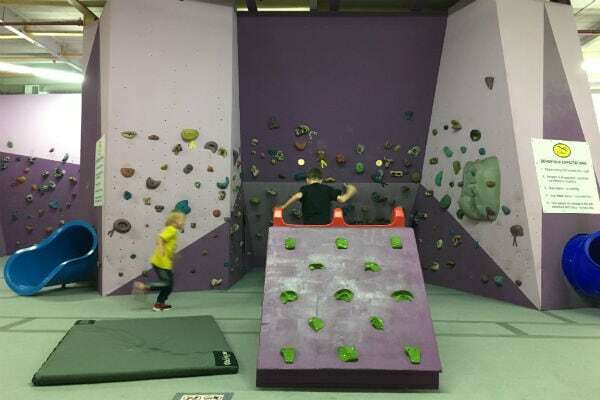 Rock Oasis climbing gym is family-friendly, with a fun kids’ area to play in when they are not climbing. The Leslieville location of Ed’s Real Scoop is a neighbourhood fave for ice cream and gelato year-round. It’s also next door to Queen Books, a new independent book store boasting a solid kid and teen section. Lesser known but equally delicious ice cream seasonal hot spots (where you will likely not have to wait in line) are farther east at Any Direct Flight (1382 Queen St. E.) and Brett’s Ice Cream. Toronto Yoga Mamas along Queen Street is a destination for prenatal and post-natal classes and resources for moms. It also shares the same block as The Green Wood, a popular spot for moms who lunch/brunch. 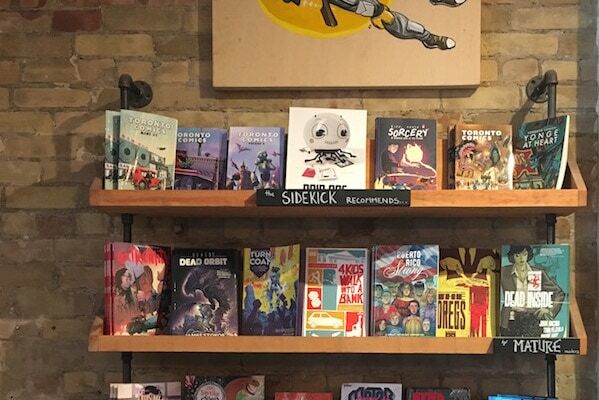 The Sidekick Comic Book Store and Café is worth a stop for its selection of comic books, plus some board games to play while you’re sipping on coffee and hot chocolate. For coffee and sweets to go, venture west to Sweet Bliss, with to-die-for cinnamon buns (available weekends only). 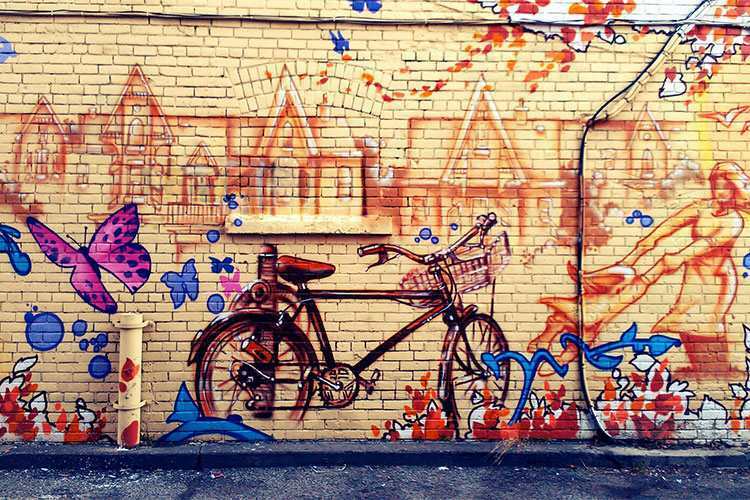 Cool street art makes for some excellent snaps for moms’ and dads’ Instagram feeds. 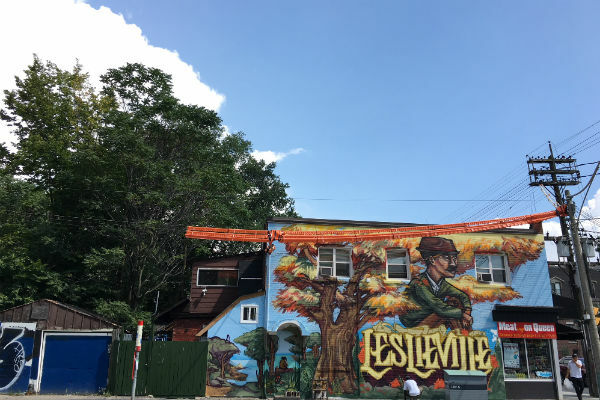 We recommend checking out the “Leslieville” murals along Jones Avenue and Boston Avenue at Queen Street, the beautiful creation along Dundas East between Carlaw and Logan and the lesser known laneway along what is known by the locals as “Dinosaur Alley,” on Sears Street. The Martin Goodman Trail is bike lane along the southend of Lesliesville running along Lakeshore Boulevard linking Corktown Common (at the Don River) to The Beach. And on weekends and holidays, a must-do is a family bike ride along The Spit in Tommy Thompson Park. 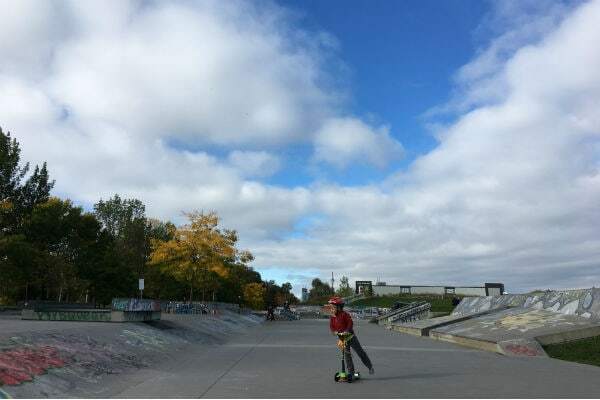 If you’re on skateboards, be sure to swing by Beach Skatepark at Coxwell Avenue. The Leslieville Farmers’ Market, on Sundays at Jonathan Ashbridges Park, runs from end of May to October and always bustling with families. When marketgoers are not shopping and connecting with local farmers and business owners, they are spread out on picnic blankets taking the live music while the kids play in the playground on site. The corner of Queen and Carlaw is the go-to for the cool kids in town. You’ll find a super selection of Canadian-made furniture and accessories for babes and teens at Kids at Home, eco-friendly baby products at Baby on the Hip and stylish wears and goods at Good Neighbour, for cool moms and dads and their minis. What Sara Wood, owner of Smock Café and Wonder Workshop, loves about living in Roncesvalles with kids.